Description: free--credit-score.net chmod calculator. Help with chmod permission. Assist in 'change mode' settings when doing ftp uploads. Great for unix systems and servers. 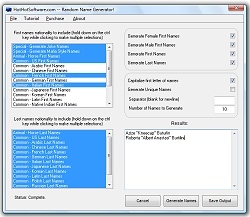 Description: This random name generator allows you to make random names, such as chinese names, hobbit names, vampire names, whatever names you want. Plus you can add/seed the database with your own types of names if you wish. Description: Serv-U is a powerful, easy-to-use, award-winning File Server that allows files to be shared across the Internet using the FTP, HTTP, and SFTP protocols. Serv-U helps you securely and efficiently share files with your users by employing industry-standard SSL encryption, powerful management tools, and detailed logging. Using the built-in transfer client, users can access the File Server using their Web browser. Description: Titan FTP Server is a powerful secure multi-threaded FTP/SFTP Server for Windows. Since Titan FTP is a fully multi-threaded Windows application, you can setup multiple servers all running simultaneously on different IP address/port combinations. Features secure file transfers using SSL; SFTP; Virtual Folders; user based access; file & directory permissions, disk quotas, UL/DL ratios, bandwidth throttling, local and remote administration. 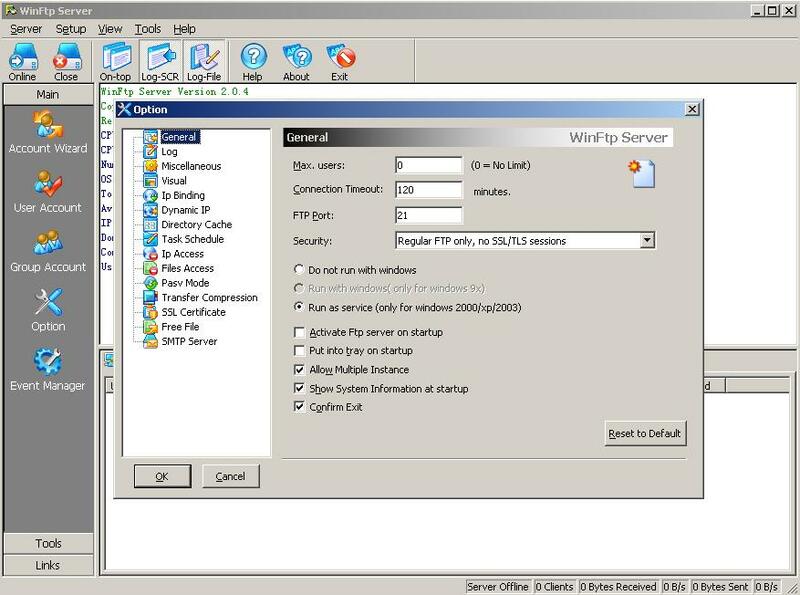 Description: WinFtp Server is extremely simple and powerful FTP server to install and manage.It is a professional Windows FTP Server featuring speed, reliability and customization.Its main assets are advanced security(SSL 128 bits) connection, ratio disk quota system ,event manager,email notification,script support ,virtual directories, data compression and speed enhancements. All features available from an easy to use graphical interface!